In early December, my boss Deedee pulled me aside while I was stocking the pastry showcase with luscious-looking gluten-free baking. Renee, she said, how would you like to join me down in Phoenix in January, as part of a little research/holiday excursion. Her treat. I think I blinked twice before saying heck, yes. And that's how it began. 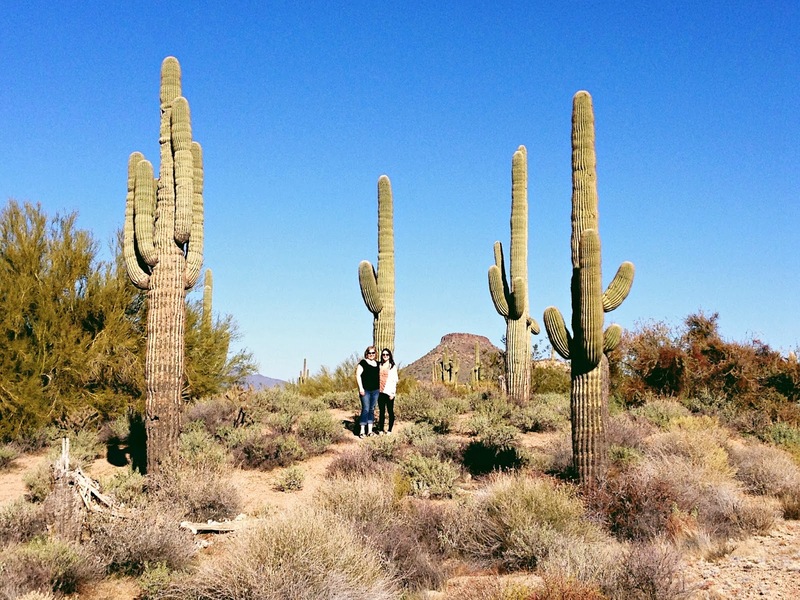 The restaurant manager Mallory and I joined Deedee in Phoenix on January 11, and for the next few days we soaked up the desert and all of the awesomeness it has to offer. The view from my room. Not too terrible, hey? 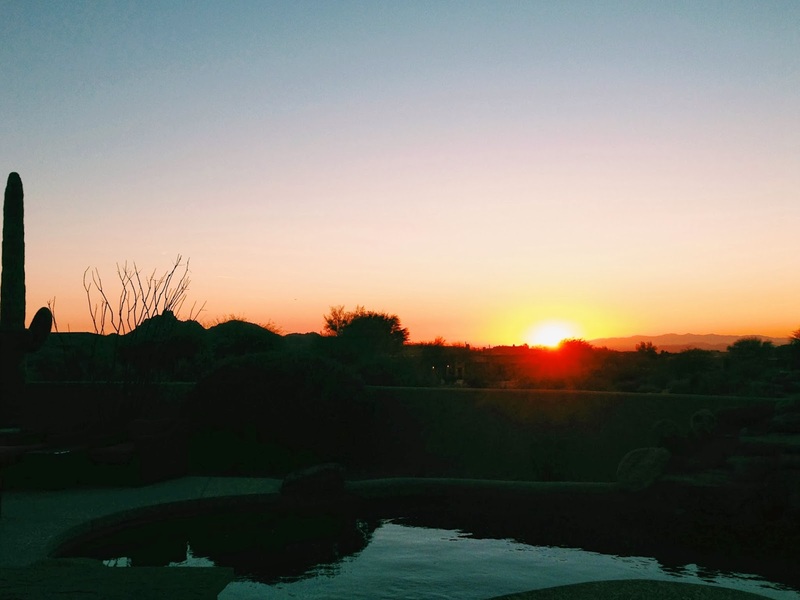 We were staying in North Scottsdale - a bit of a drive to get to the centre of things, but well worth it. I mean, look at that view. 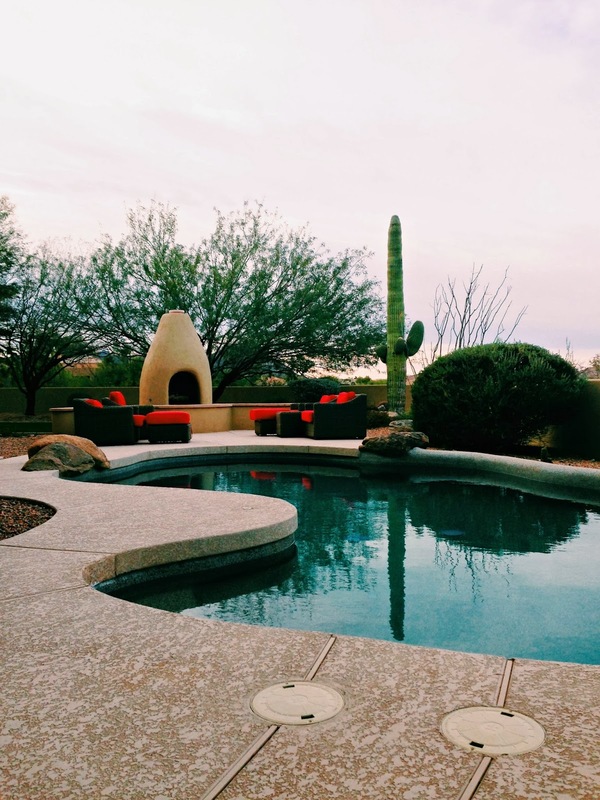 The backyard wasn't horrible either. I mean, just look at that pool. It's like I was living in Architectural Digest or something. 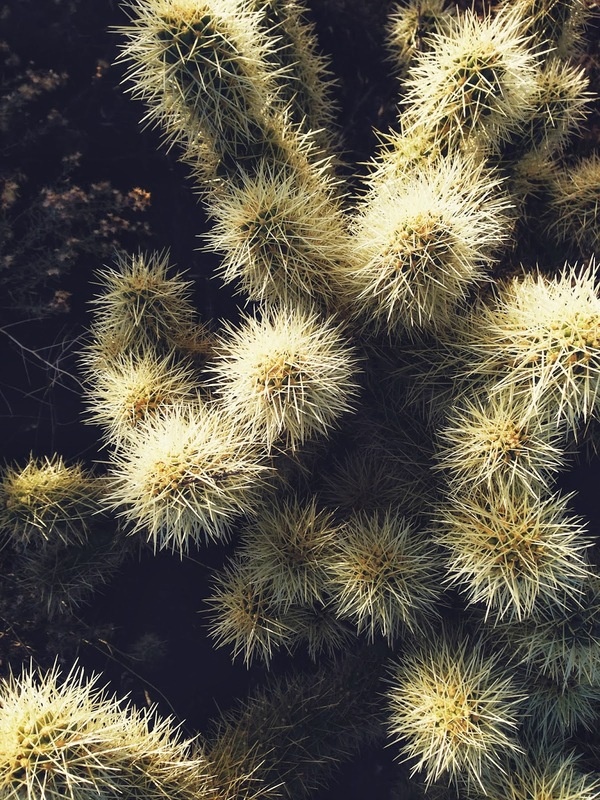 I was particularly smitten with the cacti. Being a prairie girl, I was in awe of their almost-from-another-world beauty. 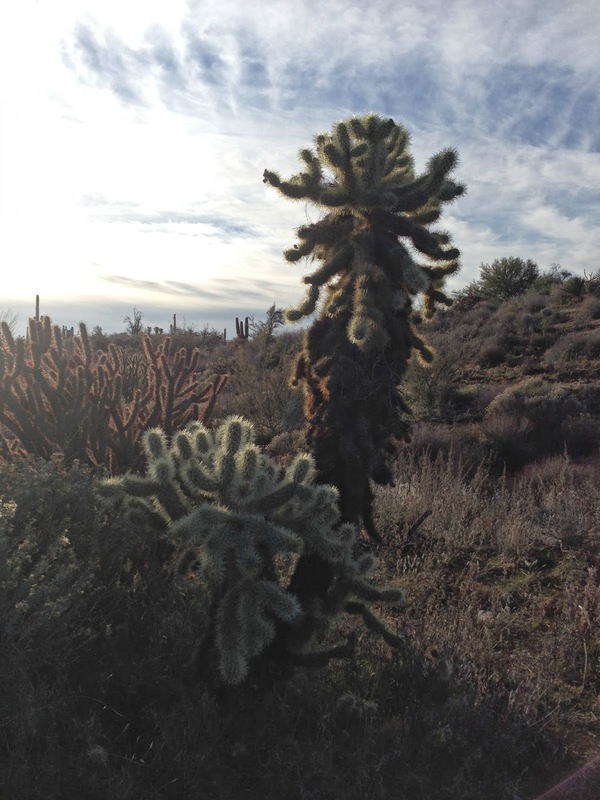 One morning, Mallory and I went for a hike in the nearby McDowell Sonoran Preserve Trails and of course the light was beautiful and I was fortunate to catch the cacti in their glory. 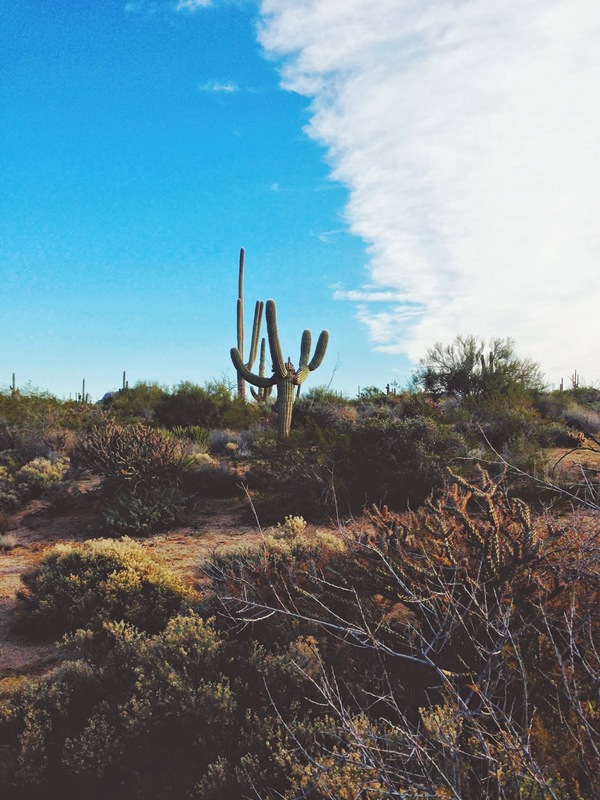 The desert landscape and air clearly agreed with me. The frozen prairie was a distant memory! Came so close to touching...thought better of it. Deedee was ever the gracious host, whisking us about to and fro, taking us shopping (Anthropologie is my new best friend), out for lunch and dinner, and generally spoiling us rotten. 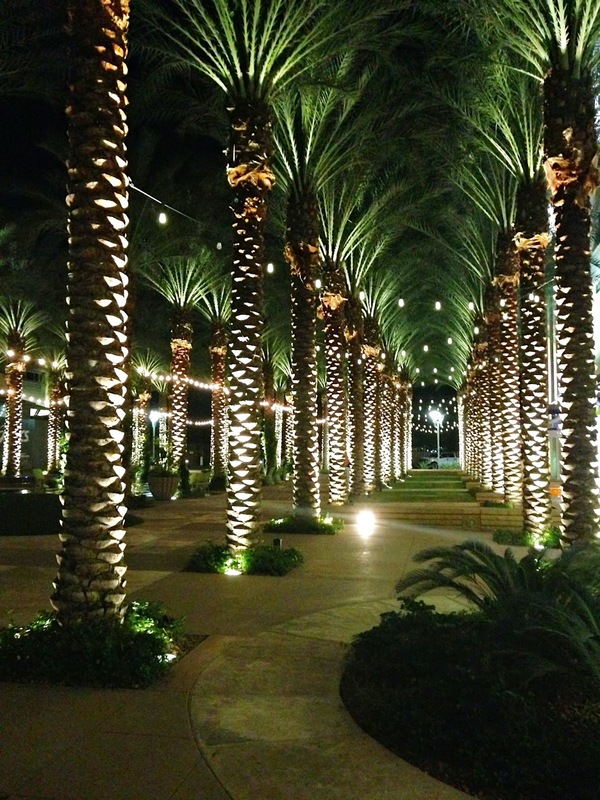 These palm trees, all aglow in Scottsdale Quarter, kind of emanate how I was feeling. Several times I had to ask myself if this was really my life, and gave my arm a wee pinch just to double check. Just to clarify, I wasn't hallucinating. We three were on a little gluten free/anti-inflammatory research mission so we ate at True Food a lot. 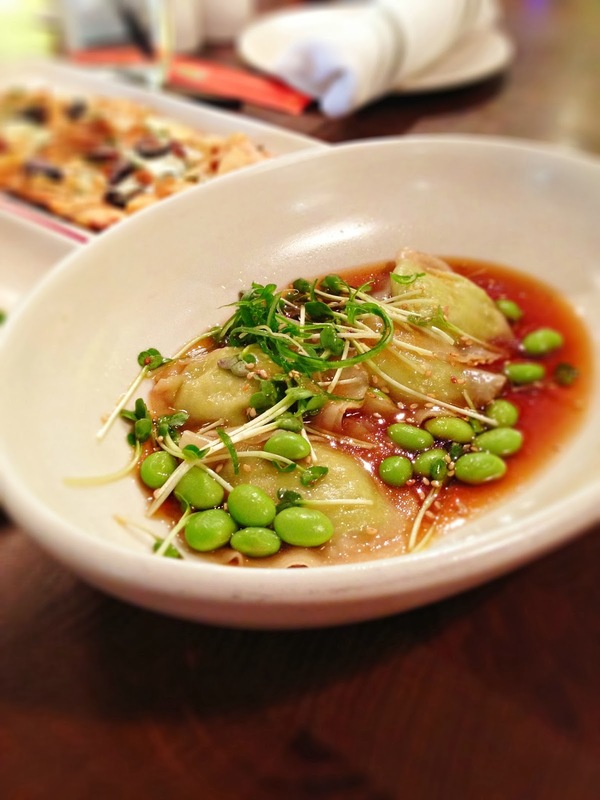 The ricotta edamame dumplings were one of my favourites. And their hummus. It's insane. I don't know what they do to it, but it's some of the best I ever ate. In the end though, the three of us came away feeling really proud of the food we are producing at Leyda's in Saskatoon. Our presentation and attention to detail, not to mention how good our food tastes is on par with that of True Food - maybe even more so. And yes, I'm totally tooting our own horn, but it's the truth. Yay team Leyda's! 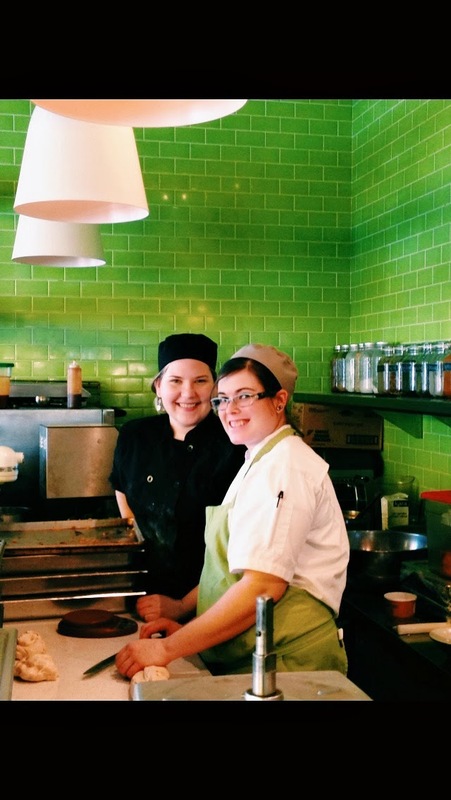 I was fortunate enough to spend a morning hanging out with the pastry cook, just to see what it's like to work in a busy True Food kitchen. Denise welcomed me into her teeny station with open arms and I helped her prep for lunch service - rolling out pasta dough, scaling pizza, and assembling the delicious squash tart. I'm a bit of a behind-the-scenes kitchen nerd and I love love love seeing how other kitchens are run. It was loads of fun, and I was happy to be a part of True Food, if only for a brief time. 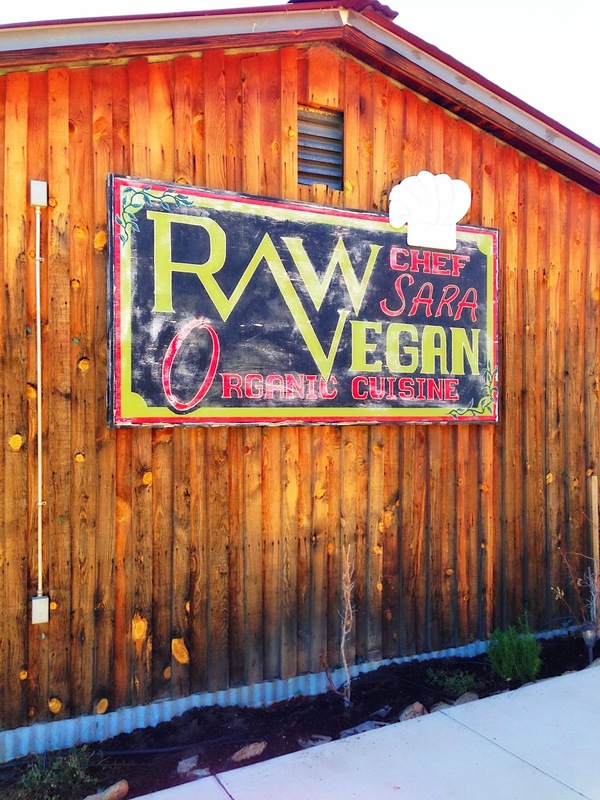 While we were driving back into Phoenix, we stopped at this quirky and quaint Raw Vegan Academy & Café, owned by chef Sara. If you are ever in this neck of the woods, you must pull up a stool to her counter and chat with her. She's incredibly knowledgeable when it comes to cooking raw (and gluten free). Plus, she is quite the character. The Rawgasmic Sandwich was insane, and the onion bread still stands out in my mind as one of the best things I've eaten that was GF. Be sure to try one of her custom juices - and the best bit is she's so bossy about drinking them in under 15 minutes or else you lose the nutritional benefits. She'll totally do a countdown. I loved it. And just like that, our little excursion together was over. I'm forever grateful to Deedee for the adventure, hospitality, and time we got to get to know each other better. I'm excited about all that is in store for Leyda's future - it burns so bright. But I wasn't leaving Arizona just yet. For the last leg of my Phoenix Field Trip, an old friend (flame) whom I hadn't seen in 15 years, was also going to be on vacation, except in Florida. But wouldn't you know he flew across America, just to hang out and catch up for a couple of days before we had to head back to our respective Canadian cities. It was probably one of the sweetest gestures ever bestowed upon this girl, and I still can't help but get goosebumps when I think about it. Something like this takes a certain amount of courage - one of my favourite traits in a fellow human - and I'm terribly glad David took the plunge. I mean, for all he knew he could have been reconnecting with a total weirdo. Alas, let's just say we were both quite pleased with who we finally came face to face with. I almost had a heart attack with anxiety and anticipation, but finally calmed the hell down once we had a chance to look into each other's eyes. Two days isn't long enough to spend with one of my favourite people in the whole world, but David and I made the most of it. Heck, we went to the zoo! Another first for me. You've never been to a zoo? he asked. No, clearly I've led a deprived existence because zoos are awesome. 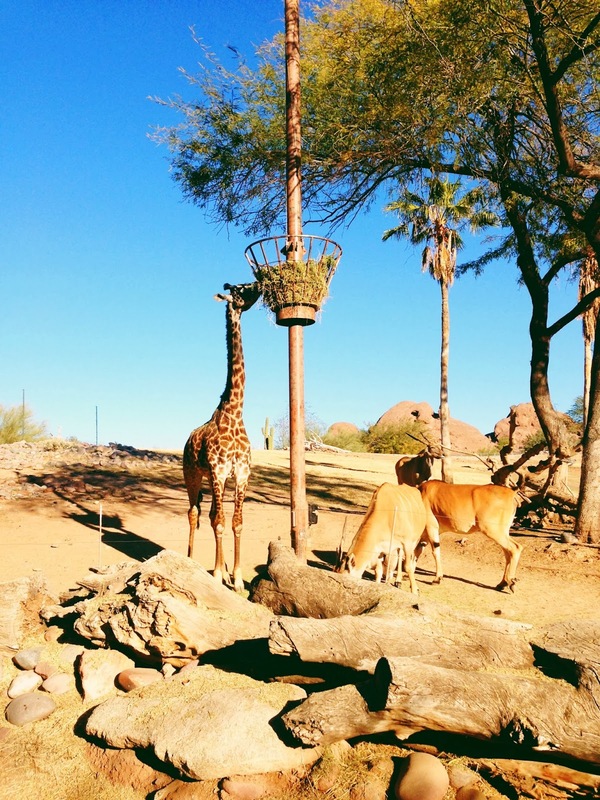 Just look at that giraffe! Also, anteaters and ostrich are pretty neat. We went into monkey territory and they were climbing around like we weren't there. The only thing that could have made it better was a glimpse at a big ol' lion or cheetah, but they were sleeping and/or hiding. Dang! Given that we had a GPS in our rented Mustang convertible (!!! 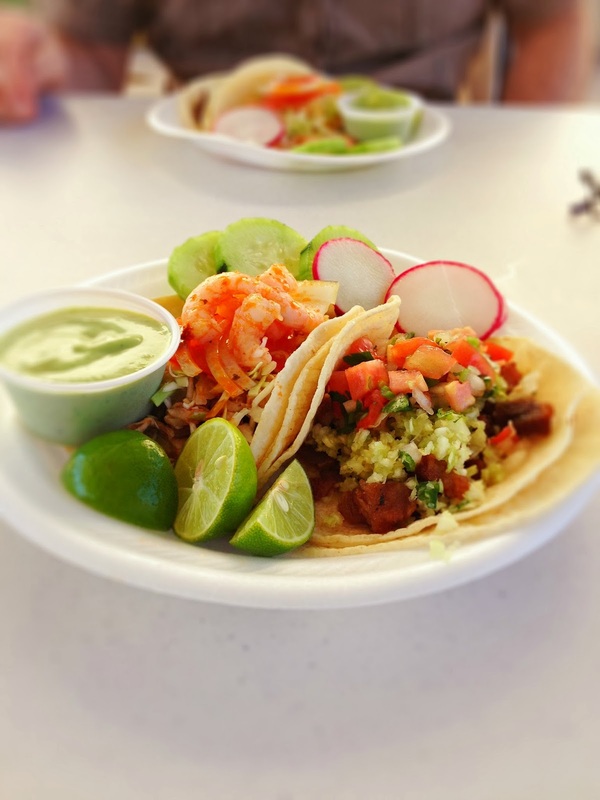 ), we were able to head a little off the beaten path, especially when it came to finding little delights like these tacos. Taqueria Yaqui might be a bit of a hole in the wall (there were cars for sale in the parking lot), and the word sketchy comes to mind when you first glance at it. But you know that thing about judging books by covers? Yeah, don't do that, because the tacos were really good, especially the shrimp and fish. Corn tortillas were super fresh as were the accompanying sauces and side veg. Sometimes it's a wonder I'm allowed to eat in public at all, for the huge mess I make of myself. Let's just say I had taco juice running down to my elbows, but I don't think David cared. I ordered a sweet, milky beverage laced with cinnamon while David had a Coke - the kind imported from Mexico in the cute little bottle. Fun fact: Mexican Coke is made with cane sugar and not high fructose corn syrup. Now you know! Other little roaming bits that may interest you, if you ever are in the Phoenix area. We grabbed tea and snacks at Songbird Coffee & Tea House. The adjoining art gallery had some really great pieces and it was fun imaging how we could get a glass sculpture home. For really good burgers, do check out Pizza People Pub, across from the Phoenix Public Library. I kind of loved that they served the food on little mini baking sheets. Also, mini mac & cheese is a great menu idea. 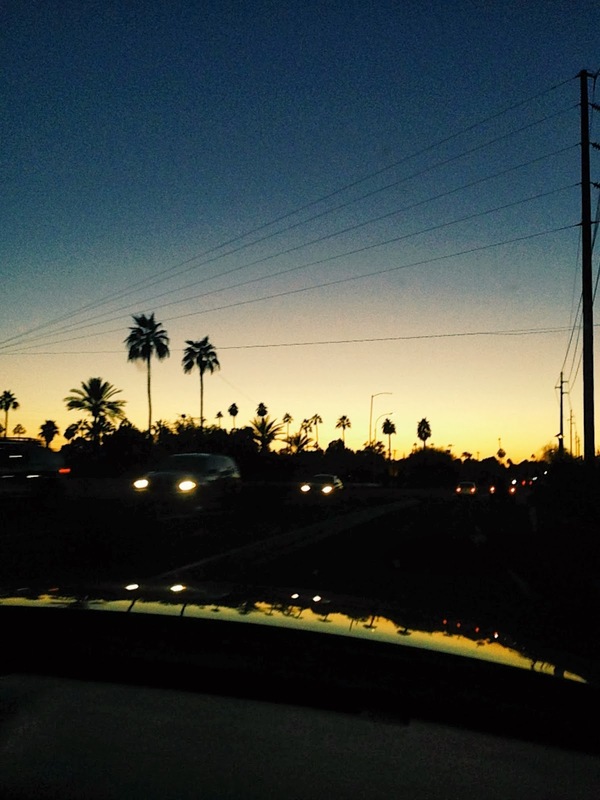 If you have a slight obsession with turquoise like I do, be sure to check out Old Scottsdale. Lots of little jewelry stores abound, but our favourite was Grey Wolf. Really gorgeous stuff, and super friendly staff. Also, did you know there was such a thing as white turquoise? Me neither! Every once in awhile, we get lucky enough to have experiences where you just have to savour every single second. Good times with good people always end too soon, and airport goodbyes come too quickly. 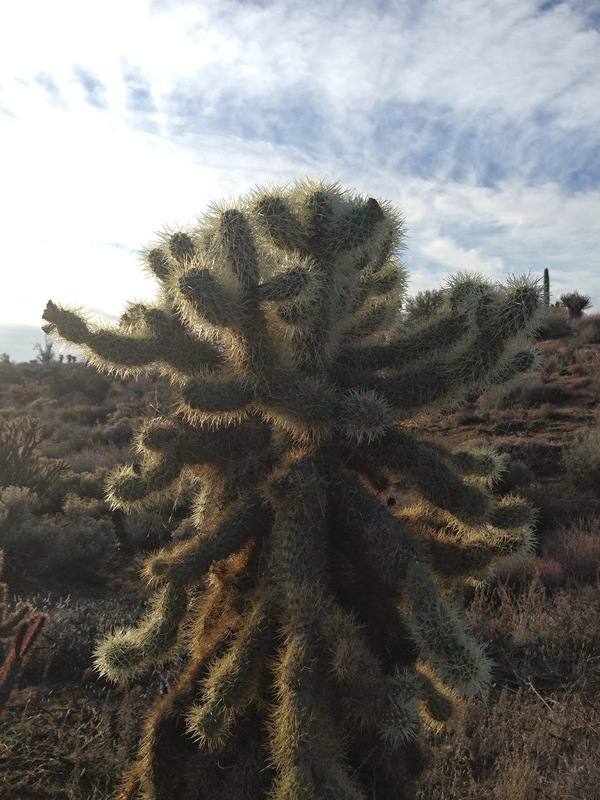 My little field trip to the desert was an exceptional way to usher in 2014; an adventure not soon forgotten. What an amazing trip Renee, and connecting with old friends and new. 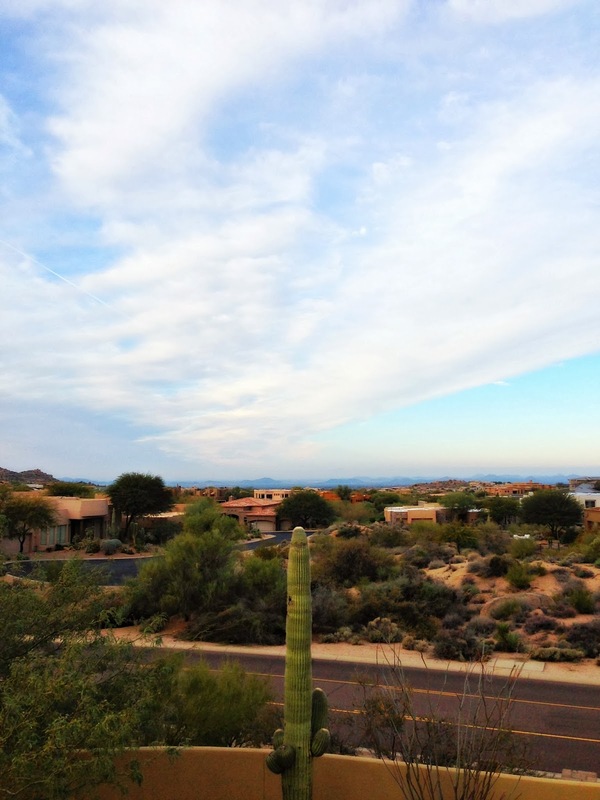 A free trip to Phoenix? Hells yes. And meeting the old flame? Been there. It's terrifying! Thank goodness you had a delicious taco buffer. I loved this Renee! Sounds fabulous. "Deedee" was my doctor for years; she was so great! So many good things in one trip! Sounds incredible, and you deserve it. Val - It really was - good times all around! Tracy - Thank you! Deedee is just awesome. Jennifer - Oh, that sun felt crazy good on this face. Can't wait to go back another time. Catherine - Good to know. Thank you! 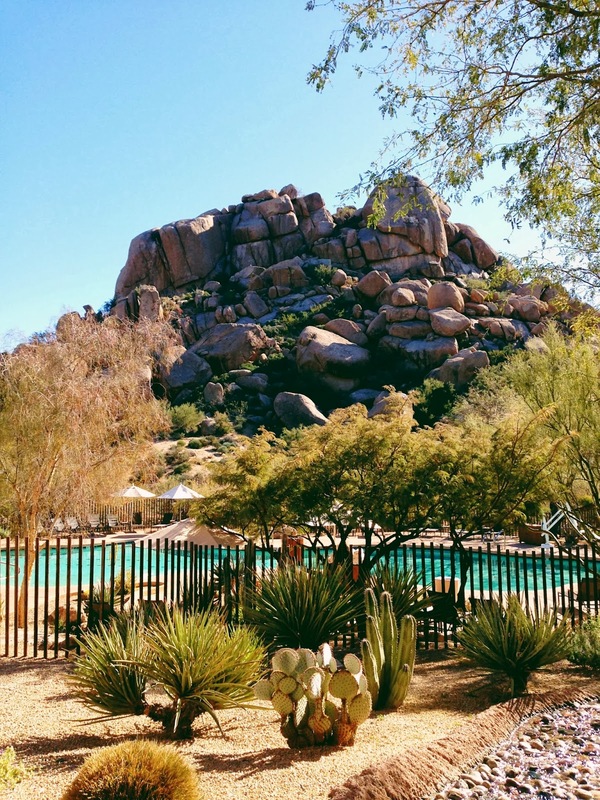 I went to Phoenix/Scottsdale for a work conference last year and absolutely loved it. I stayed an extra day to shop and went to True Foods, which was awesome. So glad you had such a fun trip!